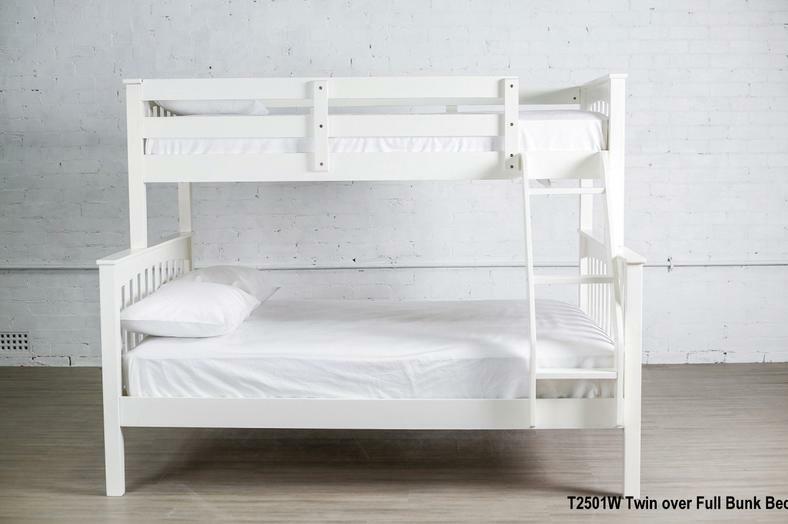 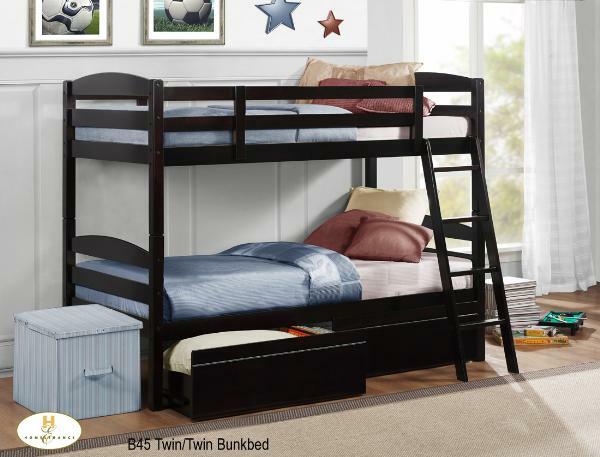 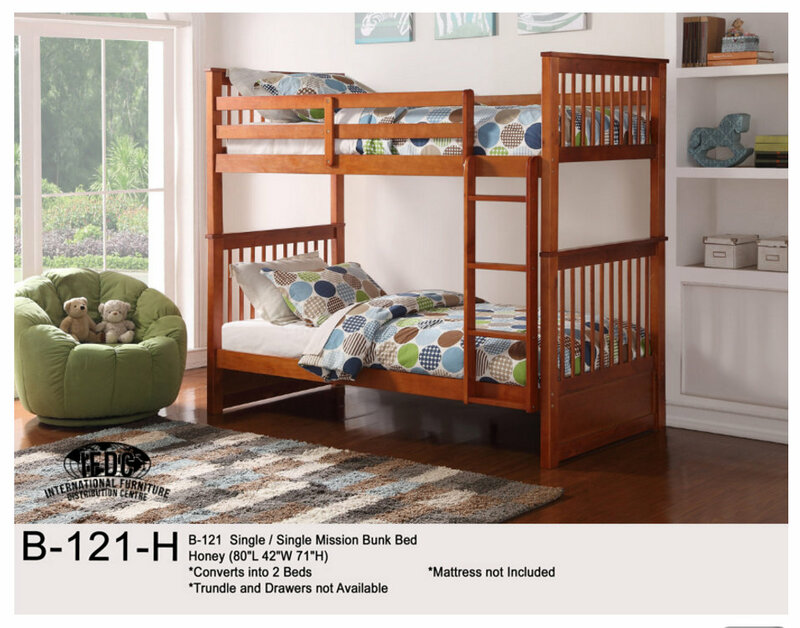 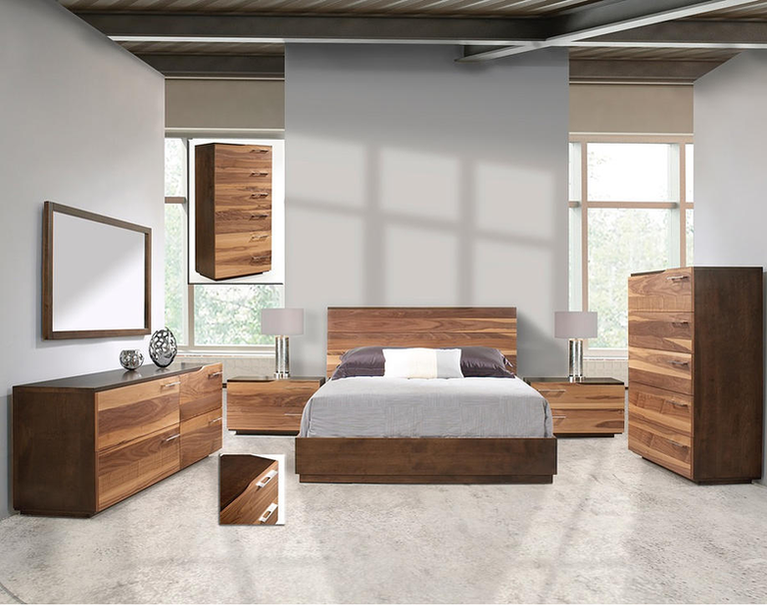 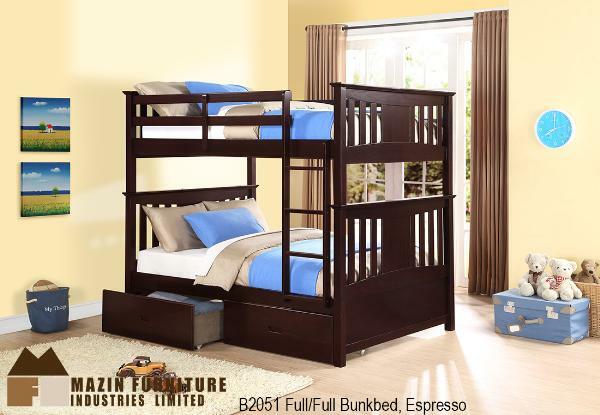 Contemporary Twin over Full Bunk Bed with Storage Drawers and Solid Wood features a functional and space-saving design for your kids bedroom. 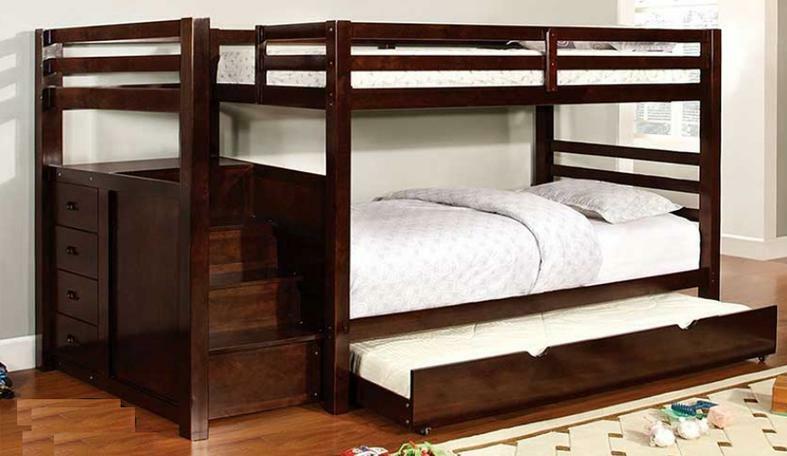 Constructed from solid wood materials, this bunk bed includes safety guard rails and an attached ladder for safe access to the top bed. 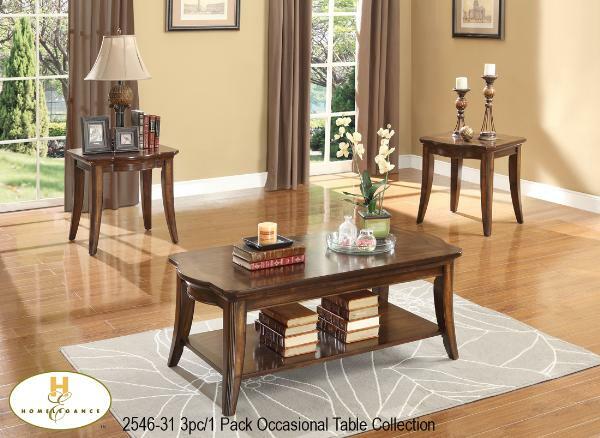 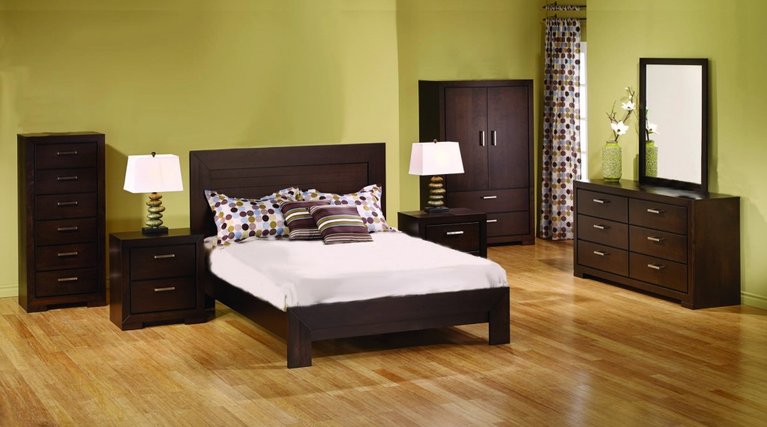 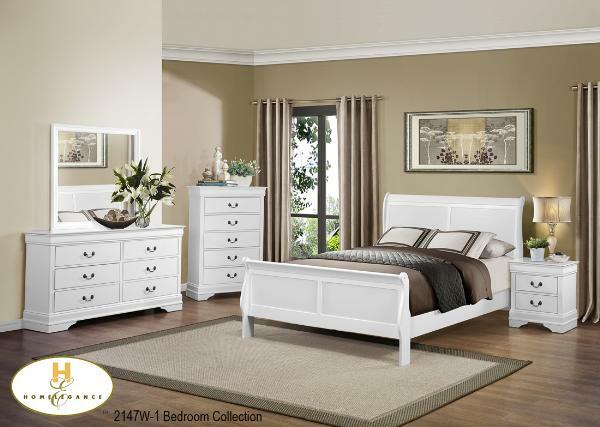 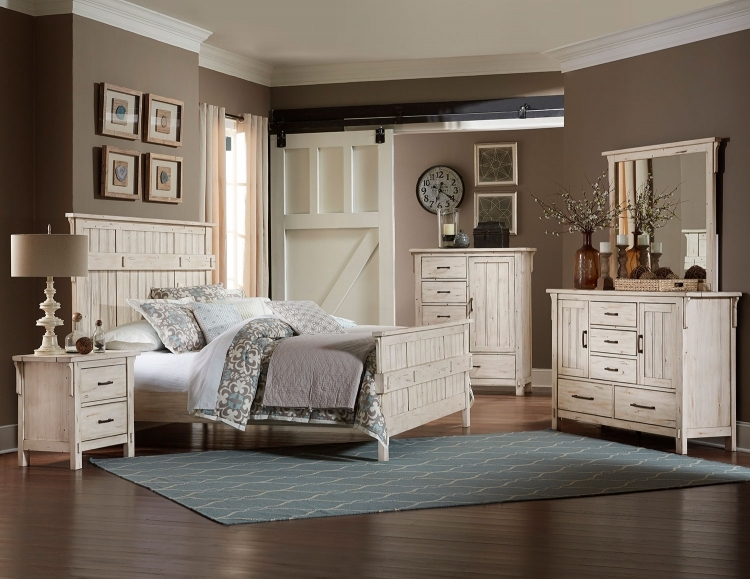 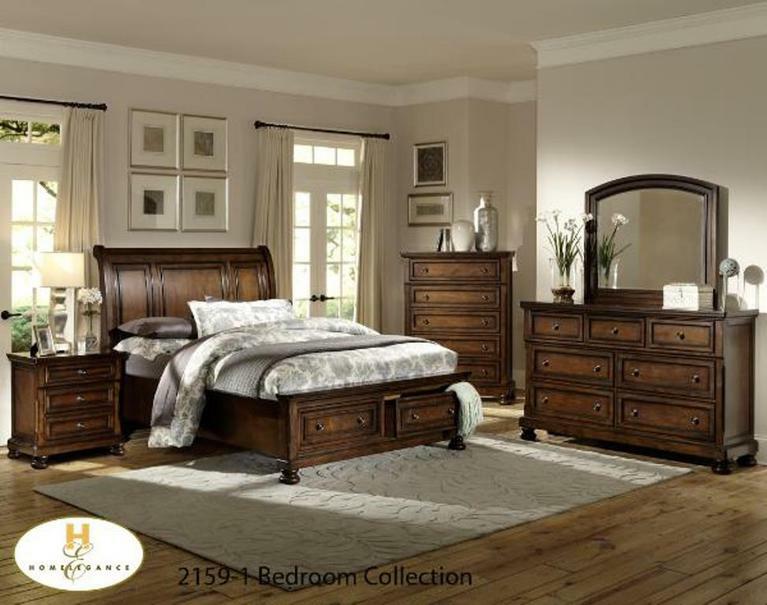 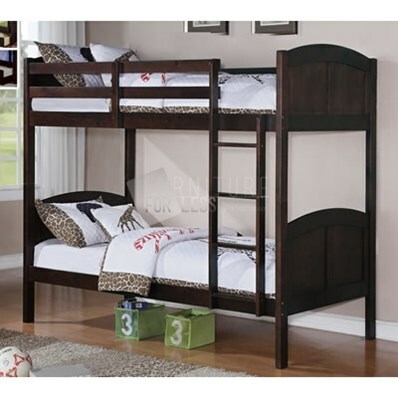 Also includes two underbed storage drawers for storing toys, clothes or extra linens. 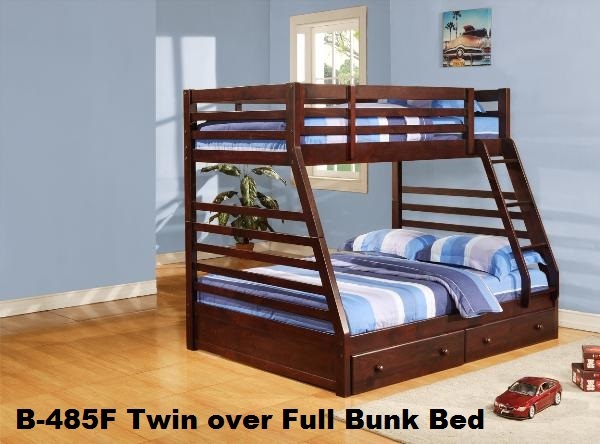 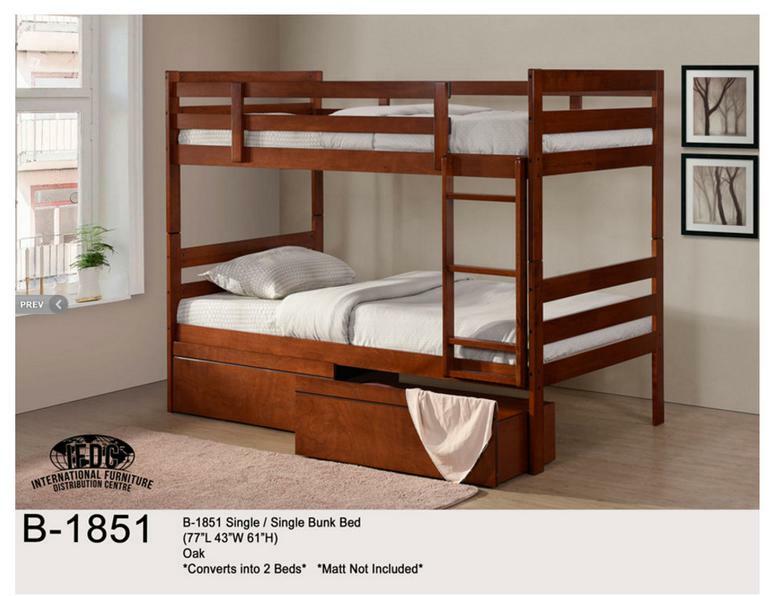 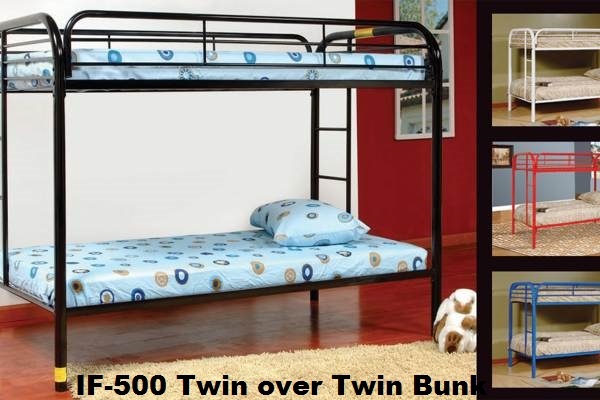 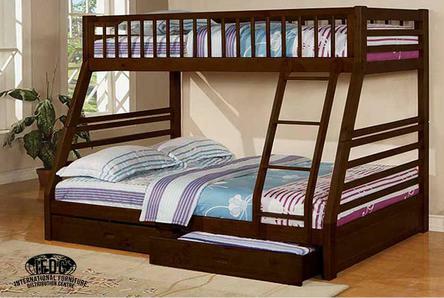 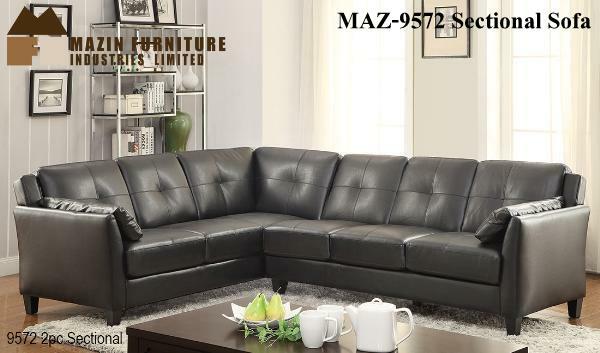 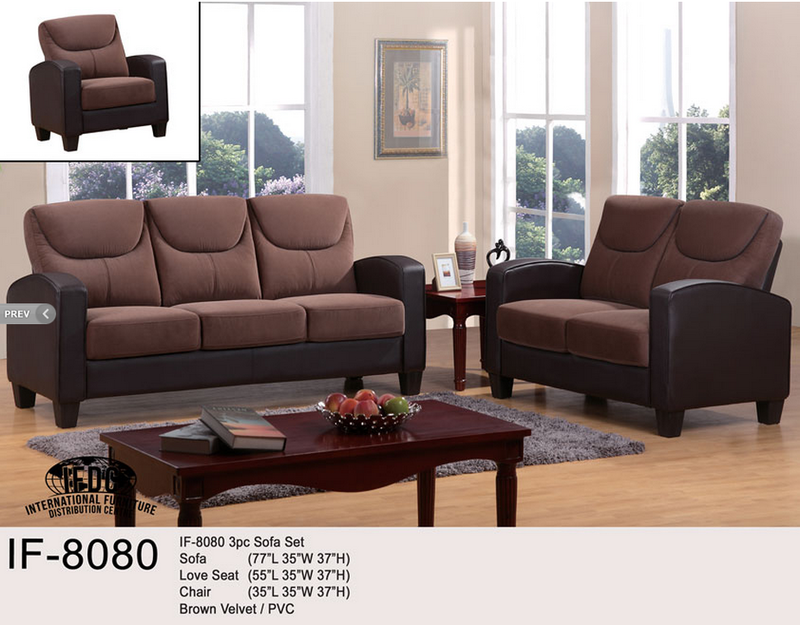 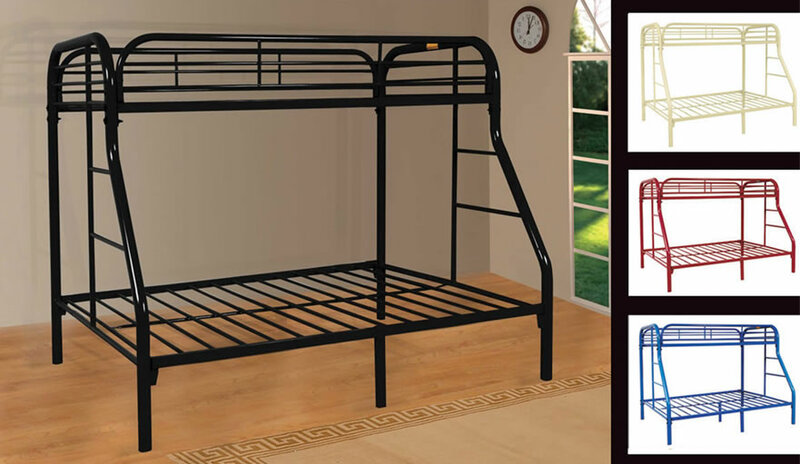 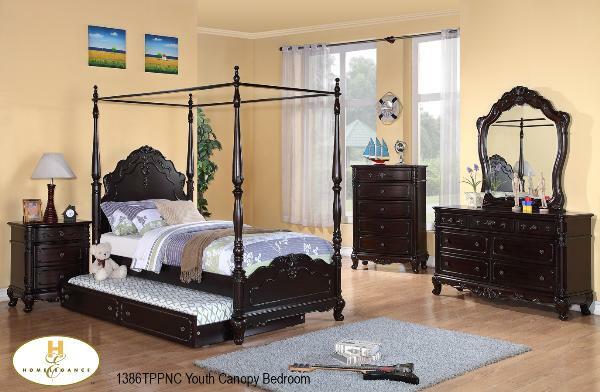 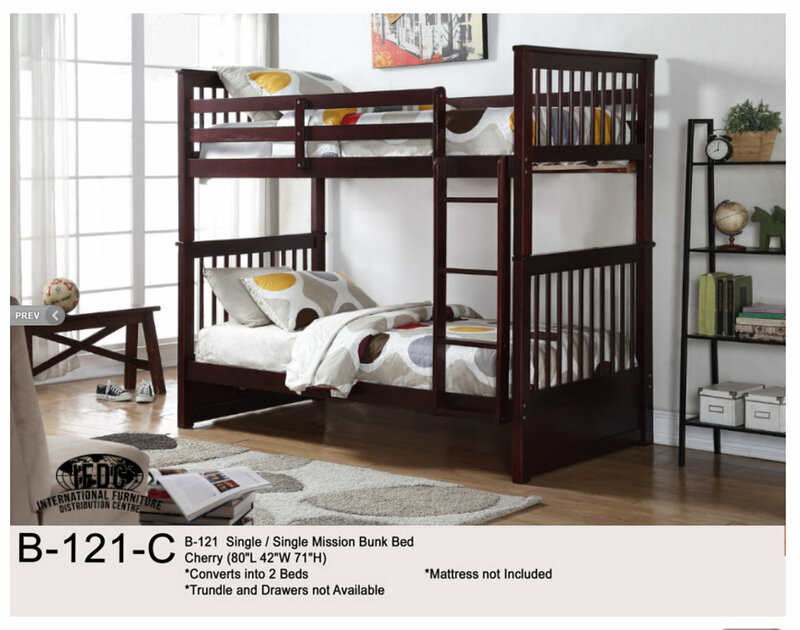 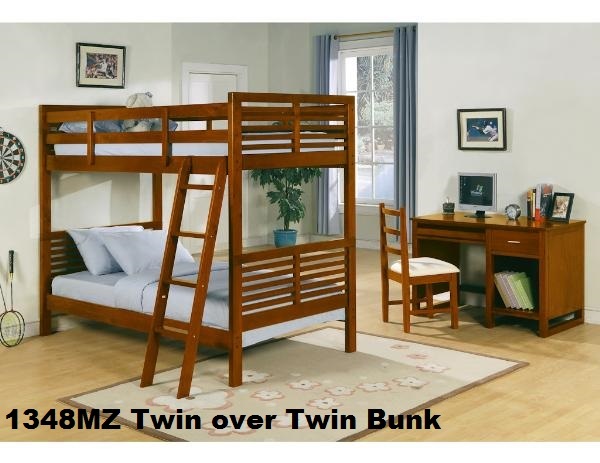 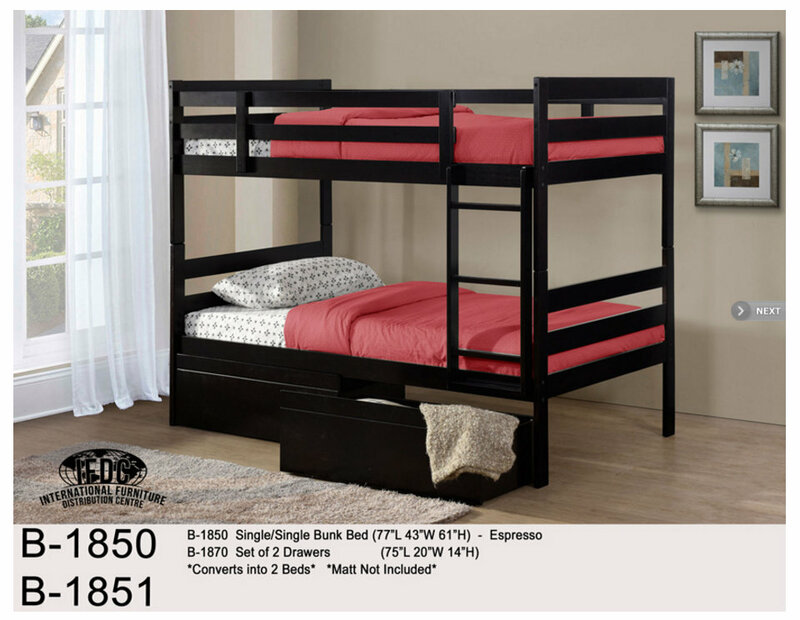 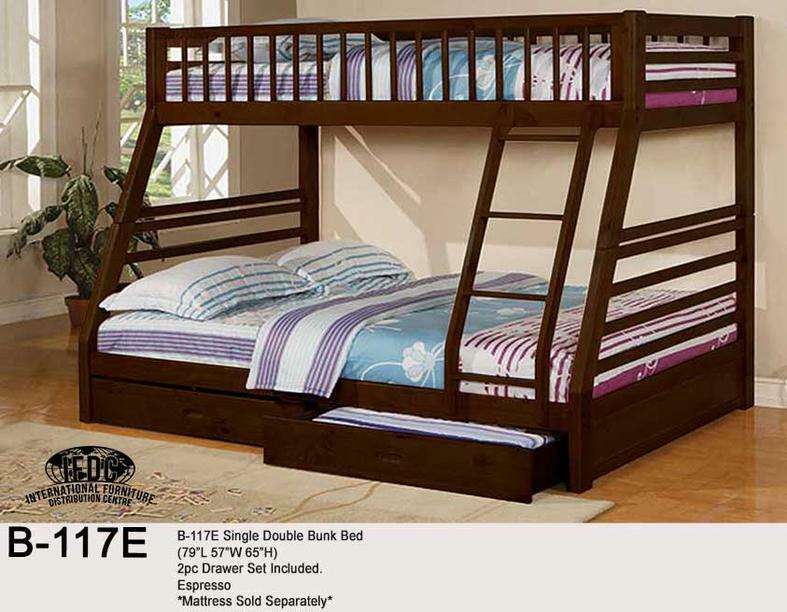 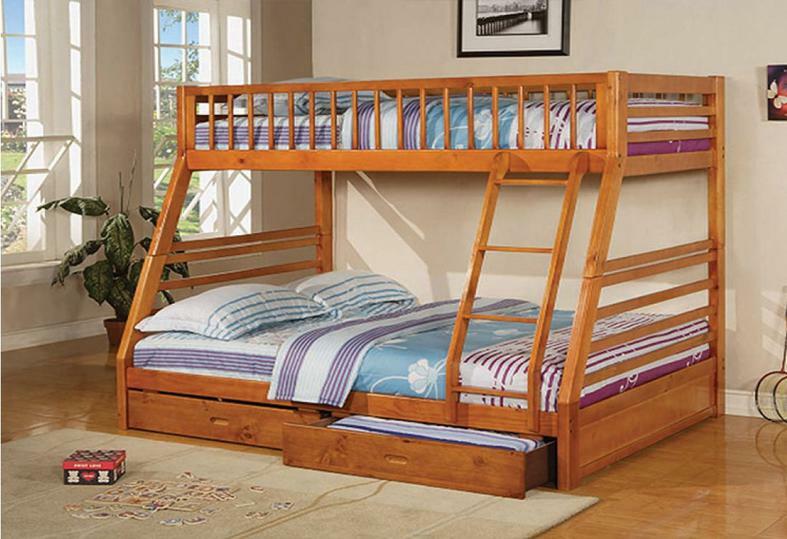 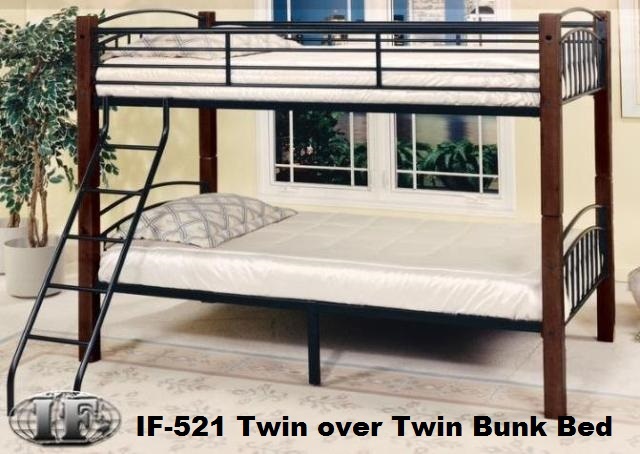 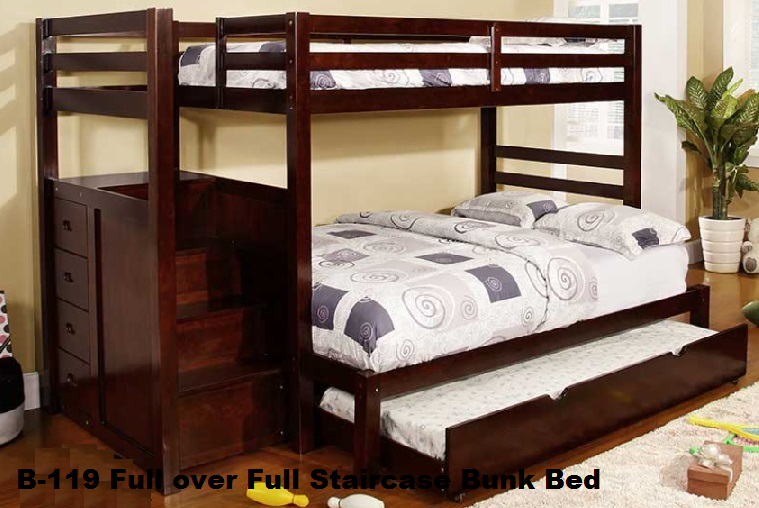 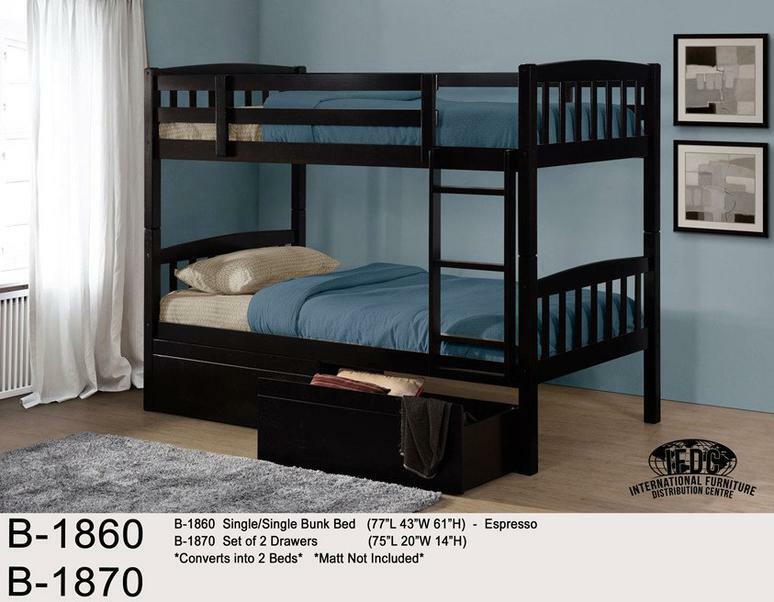 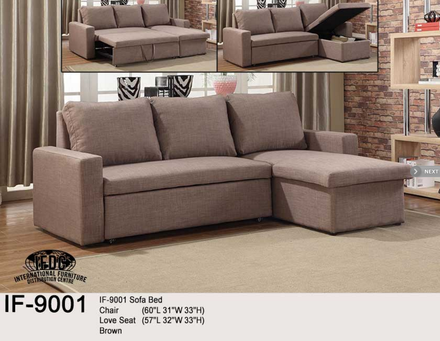 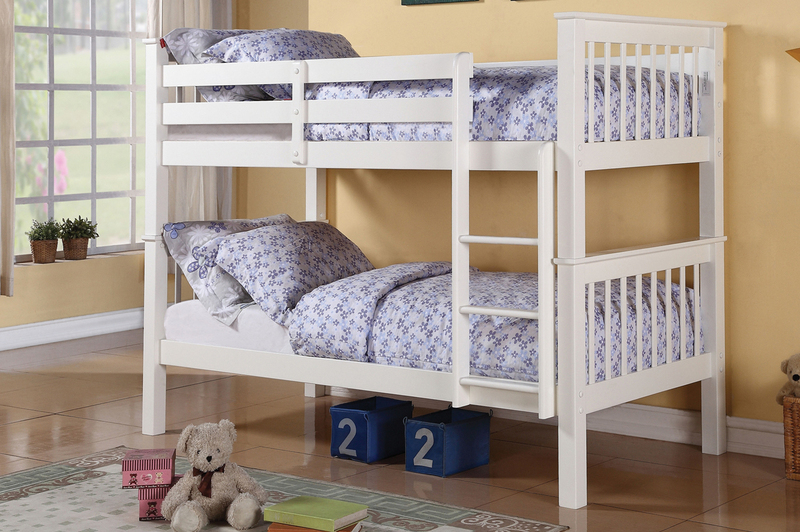 Bunk bed can easily detached and used as individual twin and full size beds. 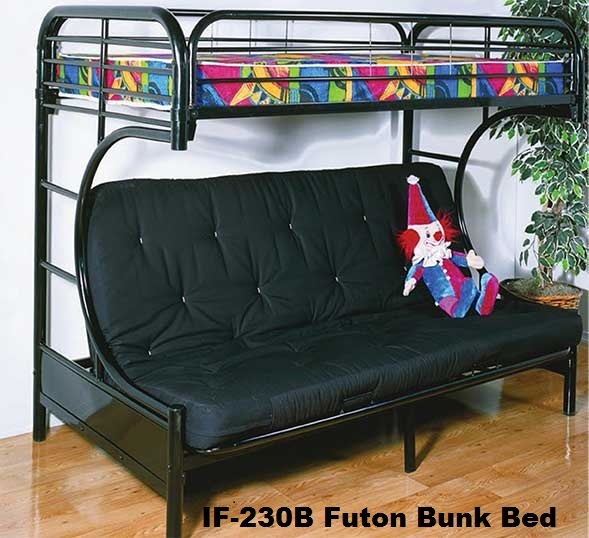 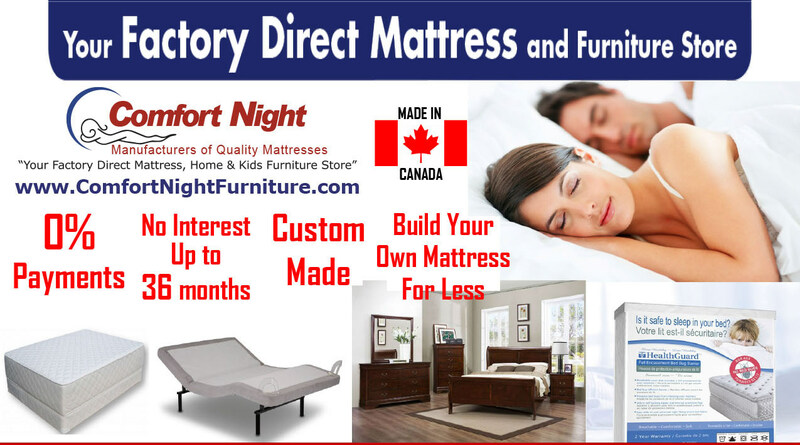 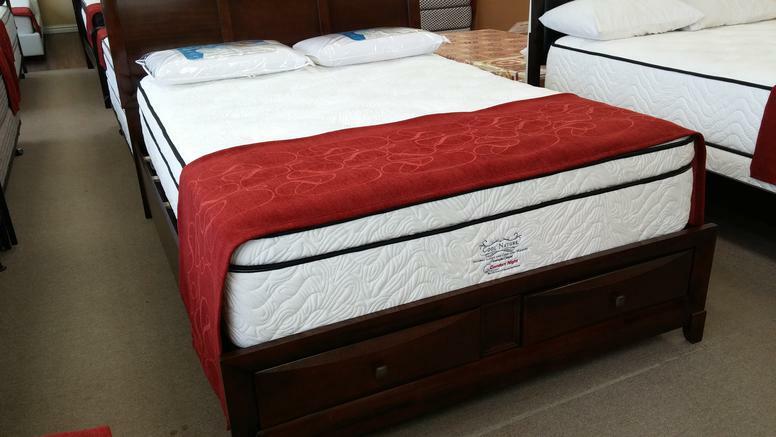 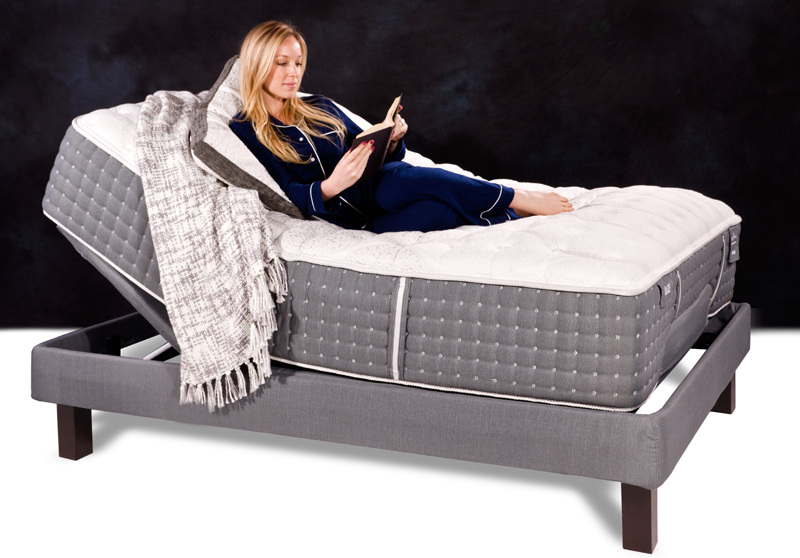 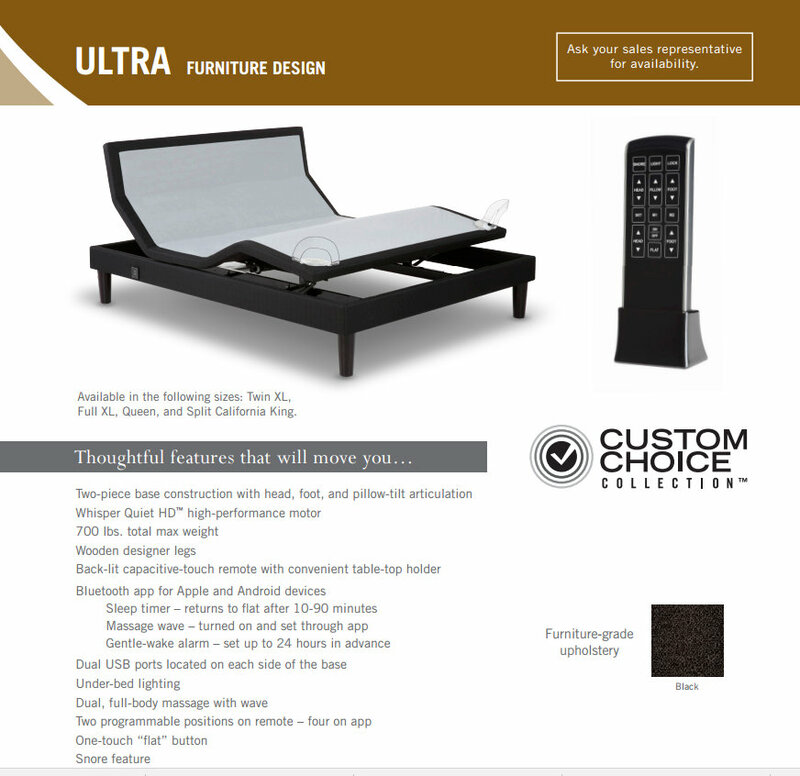 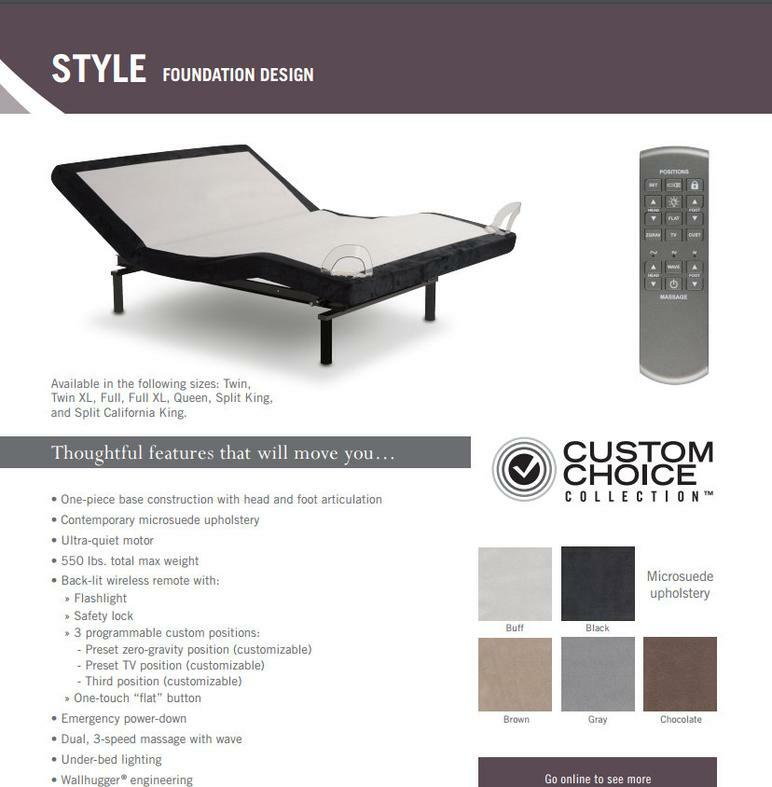 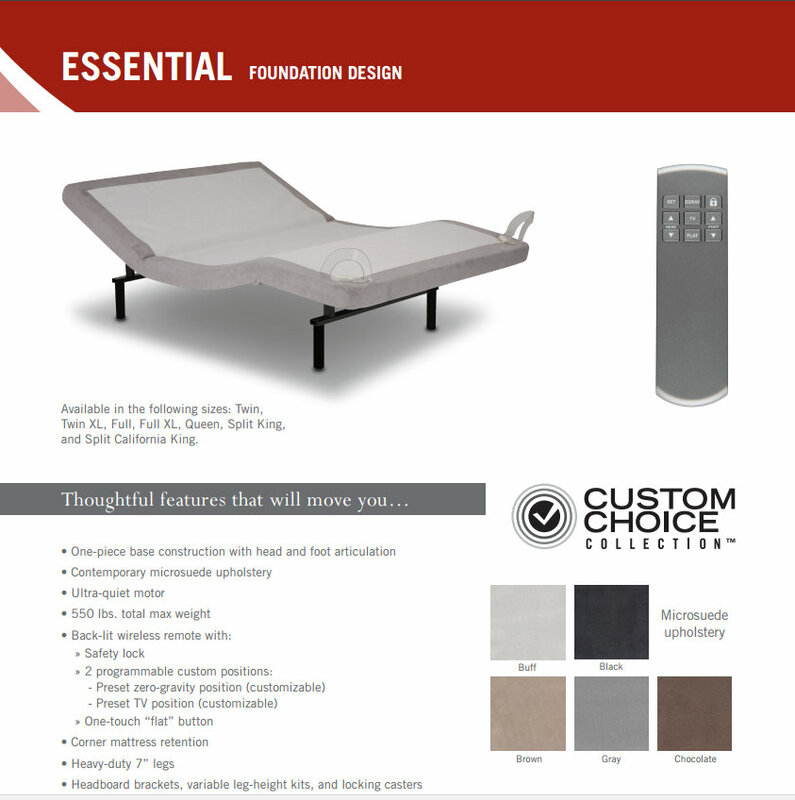 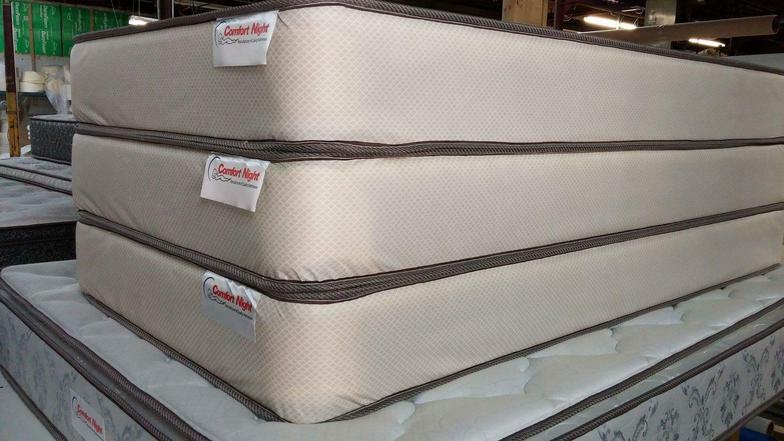 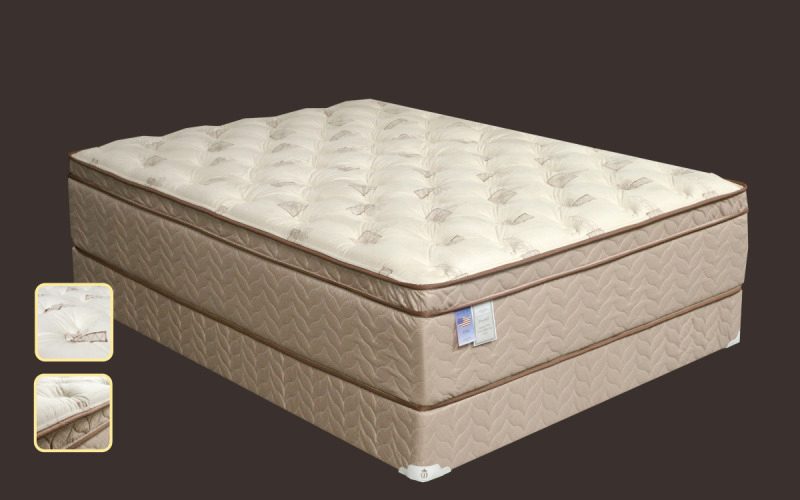 Slats are included for mattress support.